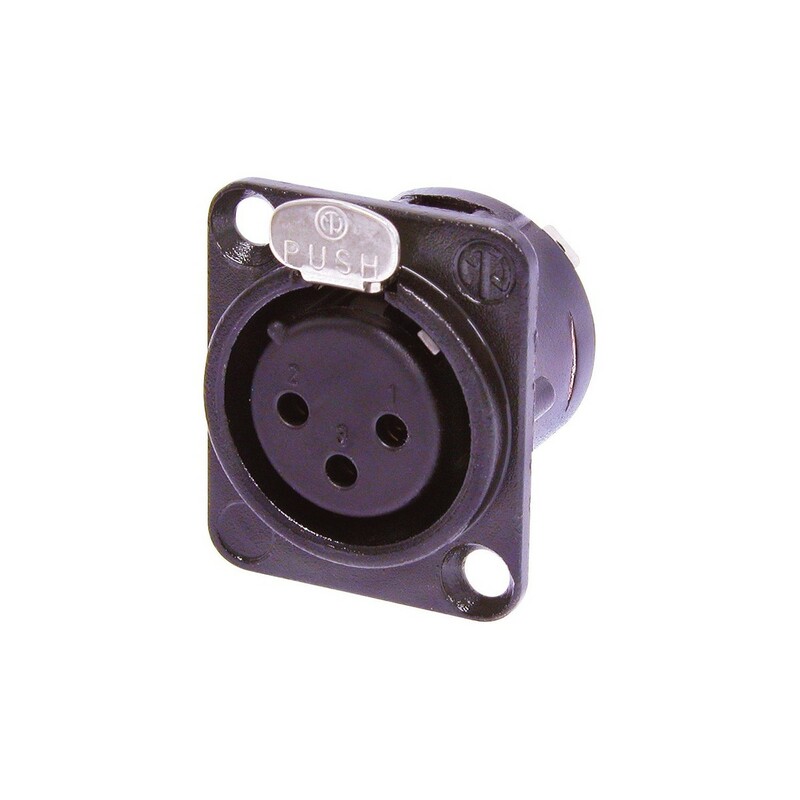 The Neutrik NC3FD-L-B-1 3-Pole Female XLR Receptacle is equipped with large solder cups for hassle-free wiring. The unit utilises a universal D-size die-cast zinc shell, and is part of Neutrik's panel-mount series. This UL-recognized component features high-performance gold-plated bronze contacts for optimal conductivity, resulting in an exceptionally durable and reliable XLR receptacle suitable for a wide range of applications. The NC3FD-L-B-1 is crafted with care to meet Neutrik's legendary construction and performance quality standards.